Rose Hollermann grew up in Minnesota where she spent her time fishing, hunting and above all, playing basketball. She has been playing competitively since 2008 and by 2011, she was known across the Women’s Wheelchair Basketball world as one of the youngest rising stars. At only 15 years old, Rose won a gold medal at the ParaPan American Games, with a repeat performance the following year. Not long after, she joined team USA at the 2016 Rio Paralympic Games where she took home another gold medal. With a decade of wheelchair basketball under her belt, she’s ready for her next challenge: College. Rose can be found at the University of Texas (UTA) playing for the Movin’ Mavs. 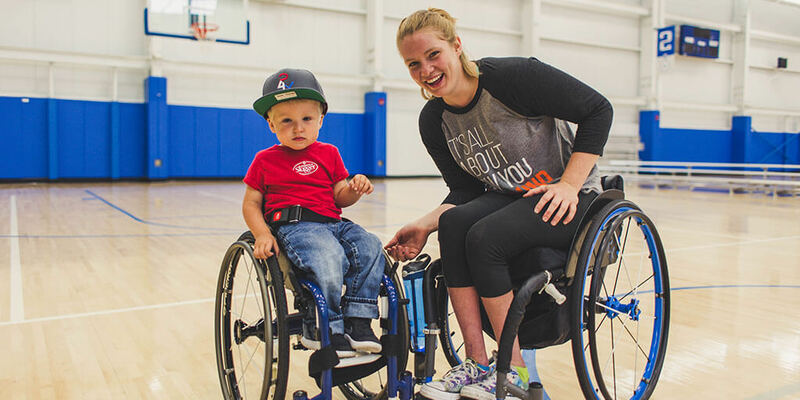 When she’s not on the courts, Rose spends her time giving back to the wheelchair basketball community through leading relocation of adaptive equipment to third world countries.